Welcome to the Merson family. We provide thorough and caring service for your vehicle. Merson is a full-service automotive center. 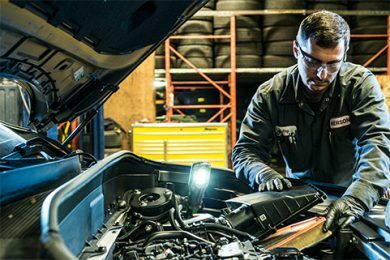 From tires to tune-ups, we do our best to make sure your car is running at its best. Merson Automotive was founded by the Mersons over 40 years ago, and it’s family-owned and operated to this day. Our family’s reputation is built on impeccable service for tires, automotive repairs and maintenance. We offer a wide range of top of the line name brand tires including Yokohama, Bridgestone, Michelin and Goodyear. 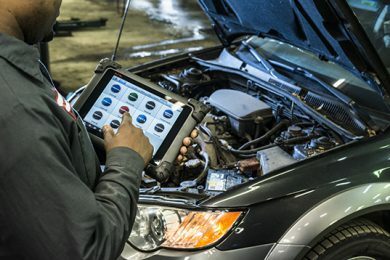 From oil changes to tune-ups, your car is in good hands. Enjoy the Merson family approach to service. No matter the make or model, we’ll keep your vehicle running smooth and safe. 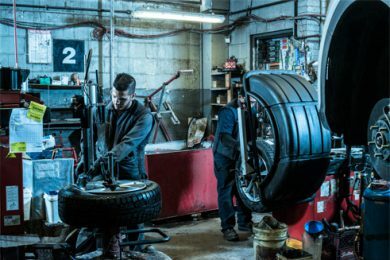 Tune-ups, tire changes, regular maintenance and repair work – no matter what you need, we make sure you don’t wait long, and we get you back on the road as soon as possible. If your car needs extensive work, we can provide a courtesy car or give you a ride. Stay comfortable and productive with our free Wi-Fi, magazines, coffee and clean washrooms. Provigo, SAQ, Tim Hortons - all within walking distance. "From the moment I walked in to the moment I left, service was exceptional." "The best customer service experience I have had (in any business). The staff were extremely knowledgeable, thorough and explained everything clearly." "Incredibly fast service, polite, professional and as far as car maintenance goes." "Great service. Nice people. No matter how busy they are, YOU are their focus." "An awesome team: they tell it like it is, with clear explanations and sound advice. The service is attentive, professional and friendly. Strongly recommend." Regular oil changes are the most important thing you can do to make sure your car keeps running at its best. We recommend an oil change every 6,000 km, or in accordance with the car manufacturer’s specifications. What do I do with my extra set of tires? Our convenient tire storage service saves you from having to transport heavy tires back and forth each season. Why should I align my car? A proper alignment ensures the wheels and suspension are adjusted according to the manufacturer’s specifications. Aligned wheels maximize tire life and allow your vehicle to track straight. A misalignment can result in excessive or uneven tire wear and steering problems, as well as increased fuel consumption.